Here’s a bird you’re unlikely to find on a bush block. 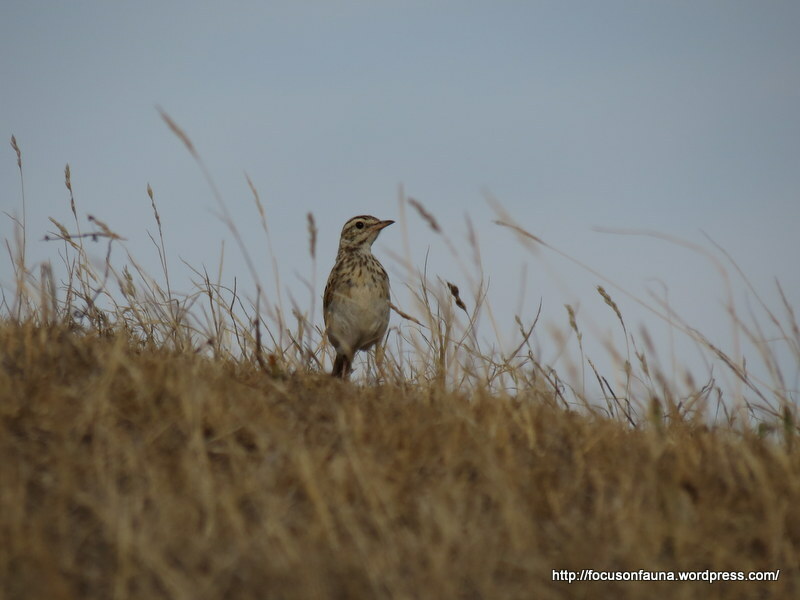 It’s an Australasian Pipit, formerly known as Richard’s Pipit, an open-country bird you might see even on a heavily-grazed paddock, as this one was between Strath Creek and Flowerdale. Despite its apparent vulnerability as a bird that feeds, roosts and nests on the ground, it is fairly common and is found throughout most of Australia, as well as New Zealand and New Guinea. Its secret to survival is probably its excellent camouflage and its swiftness in both running and low flight. 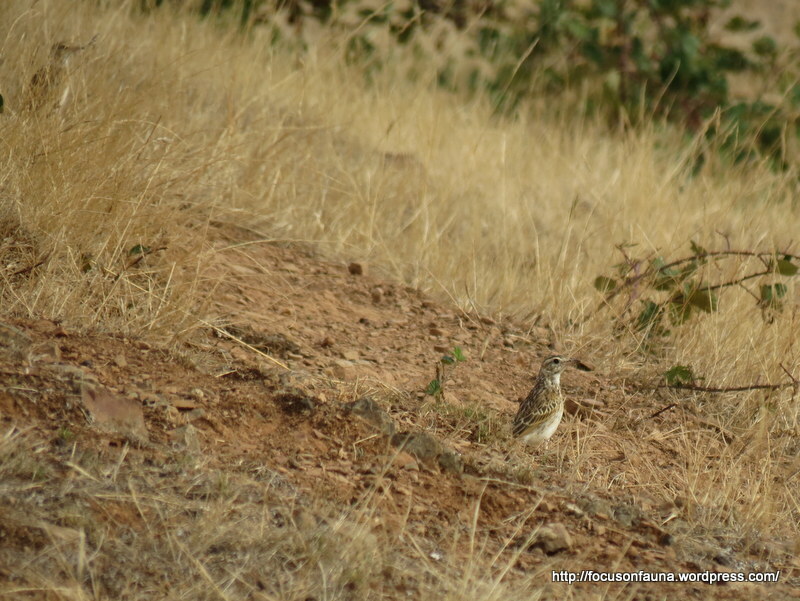 It’s not an easy bird to detect, but after straining to spot even one, we eventually realised there were at least five scurrying around, probably after the many small grasshoppers among the grass tufts. The pipit’s pale eyebrow and white edges to its tail are indicators of its presence, and it often perches on rocks or fences, flicking its tail up and down. 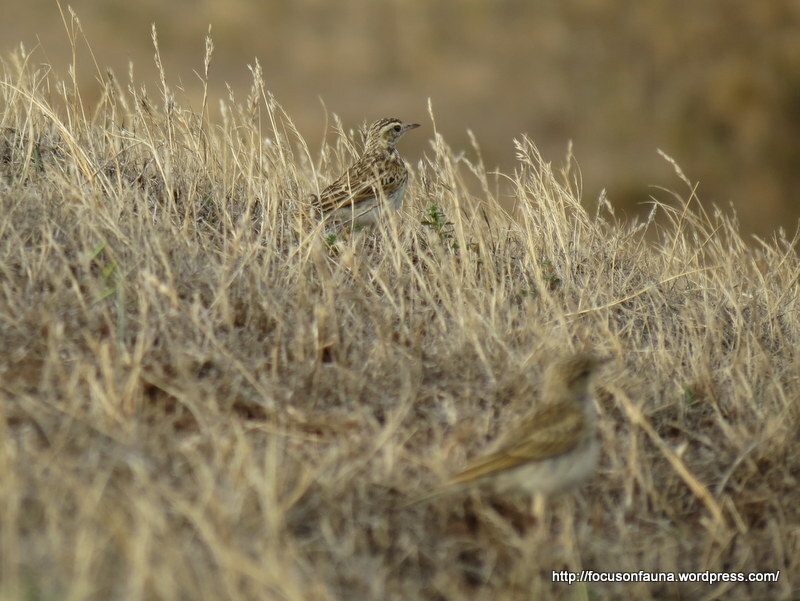 Its unobtrusiveness was highlighted when a second bird showed up in a couple of photos that we hadn’t even noticed in the paddock! At breeding time in spring/early summer we have seen a male pipit displaying in a courtship flight, swooping and rising while repeatedly emitting a drawn-out trill. They always seem very curious . We see a lot here and they flit from fence post to fence post following us whether we are in the car or on foot . I sometimes have to toot them to move them off the dirt roads where I see them . Plenty of feed in roadsides of the cropping land around us . Thanks for the interesting comment. They’re less common around here, and usually a bit more wary. It’s not surprising you see them regularly, Terry – ideal open habitat around your place. 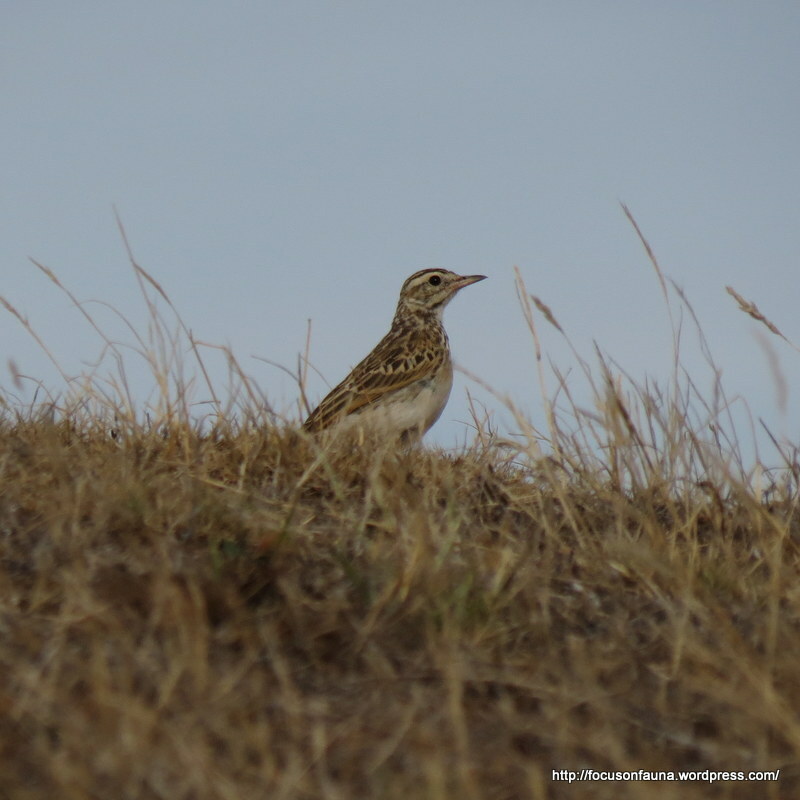 Groundlark was a previous name for the bird, although pipits are actually in a different family from larks – superficially similar and occupy similar habitat, a case of converging evolution.